If you’re an optimist like us, you love every season’s unique gifts. You love winter for its magic, you love spring for its energy, you love summer for its fun vibes and you definitely love fall for…a thousand and one reasons. If you are among those who really like the season we have just happily stepped into (hello, September! ), you definitely like the idea of a fall wedding. But what are some of the trends that dominate the fall wedding scene this year? Well, we have collected some tips for you – so read on and find out more. It’s all about colors that are elegant, yet filled with vibrancy. There are two main ways you can embrace this trend. One of the most popular ones is creating a wedding color scheme based on precious colors (like those of the most popular gemstones out there: rubies, emeralds, and sapphires, for example). This is excellent for an elegant, luxurious wedding. If you want something more toned down, you could simply go with the “bright flowers” fall wedding trend – combining neutral-colored blooms with flowers that pop (red and orange, for example). Holiday-inspired weddings are all the rage. That doesn’t mean you have to transform your wedding day into a ghoul-inspired celebration (although, to be honest, that’s totally fine if it mirrors your personality and preferences). There are so many stylish ways to incorporate Halloween motifs in your wedding (e.g. pretty mini squash pumpkins used as cake décor, invitations inspired by Halloween stories, and so on). Plus, Halloween’s not the only fall holiday – think of Thanksgiving and how beautifully it would incorporate into a wedding (including a menu inspired by this celebration!). Seasonal-fragranced wedding favors. If you choose to offer wedding favors, make them fall-inspired. There are SO many things you can do here, especially in the “edible wedding favors” sector! From bottles of homemade ciders and/or wine to hot chocolate mixes, pumpkin cookies, apple pies, and anything infused with cinnamon, there’s a really, really wide variety of amazing treats to offer as wedding favors for a fall event. Have you booked your wedding venue yet? 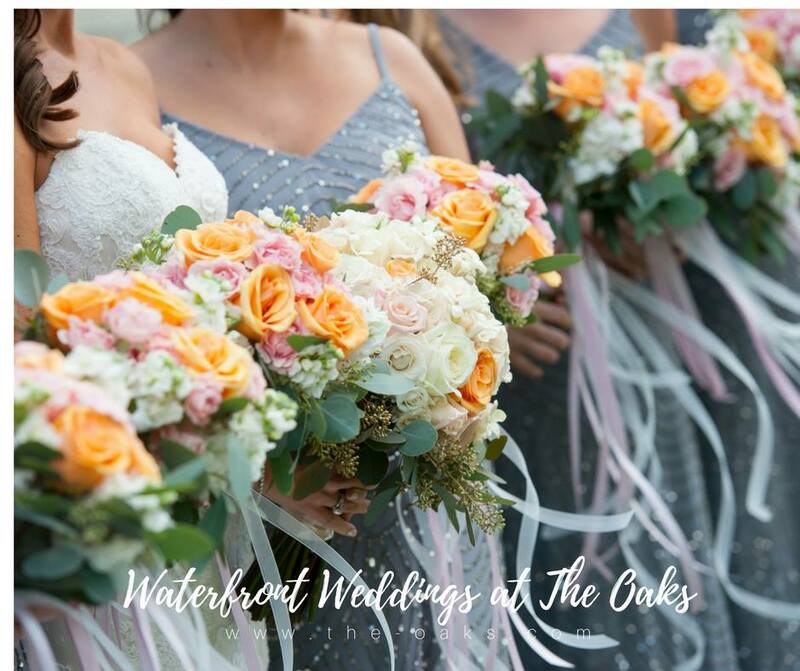 If you are still searching for the most amazing Eastern Shore wedding venue, be sure to come and check out The Oaks. Contact us today and book your personal tour of our grounds – we guarantee you will never regret it!